In regards to experimental learning, bivouacking takes a very special place as one of the most exciting ways to give young people an intense experience with nature. 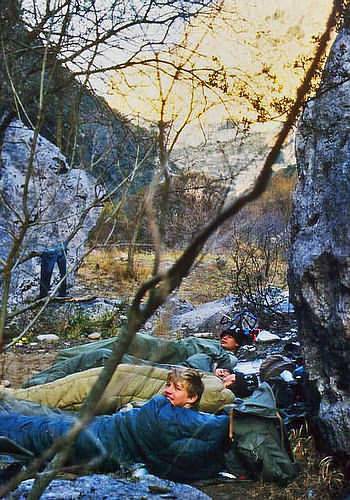 Depending on the objective, bivouacking can be for just one or more nights. To experience nature from a different perspective is a fundamental objective of every bivouacking trip. Sealing yourself off from all everyday worries and problems while instead learning to relate and connect with yourself is the objective of solo bivouacking. Suitable, however, only for older teens. 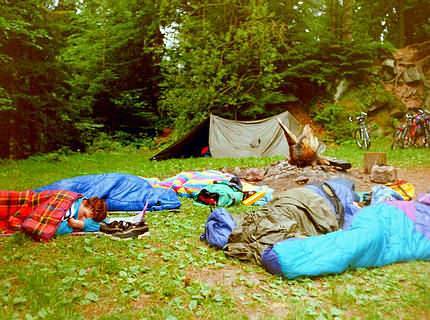 Younger participants can stay on a common camping site. While bivouacking, they learn to grow together as a team in which each has his own responsibilities to carry out. If possible at all, participants can be integrated with the preparations for the bivouacking trip. This is a possibility for the youth worker to assign certain task already at this stage of the journey, so everybody has time to prepare. To make it easier, you can access a bivouacking provider where lodging and food are included in the service. One worry less for the youth worker. Otherwise, the shopping list for the inventories should be created together so that each participant has the opportunity to express his wishes. The purchases can be done as a group, which strengthens the team spirit already in advance of the bivouacking. 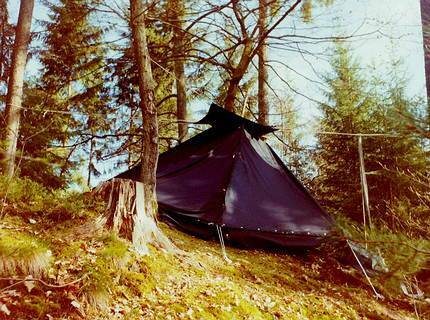 Once the bivouacking site has been reached, the accommodations are built together. Commonly, the youth leader will provide tents because building their accommodation from natural materials is often not possible or would constitute an excessive interference with nature. This way the young people learn as well how to behave in nature. For example, do not touch unfamiliar plants, leave alone eating them as they could be toxic. Young people also learn to take responsibility for building their accommodation, preparing food and attending to their assigned tasks. It won’t take long until it becomes commonplace that everybody cares about everyone else and helps out if his assistance is needed. Bivouacking offers, from the aspect of experimental learning, a whole range of opportunities to integrate games throughout the day. If the bivouacking takes more than just one day, nearby climbing parks can be visited. The day’s adventures should be discussed together, after dinner around the campfire. If any issues arose between the participants during the day, now is the time to address and if at all possible to be resolved them. Solo bivouacking usually is a little different. Here, each participant chooses a site to stay slightly removed from the base camp. Here he can spend the entire night, experiencing nature in a particular intense manner. Technical devices such as MP3 players or mobile phones have to be left back home. The aim of bivouacking is as follows: The participants are asked, with the help of an experienced guide, to build a relationship with themselves and question their current life situation. They will also have enough time to think about and ideally find ways to shape their future. This way of the bivouacking is particularly ideal for young people whose lives are profoundly uprooted. For example, they might have to work through issues such as which career they want or adjust to a new situation because their parents have just separated. Breakfast should be the time, where the participants have time to discuss which expectations they brought to the bivouacking. On the next morning, moderated by the youth leader, they could discuss, for example, if and how their expectations were met. Or how they experienced nature and what they could take home from this experience, which will benefit them in their future lives.